Residents of the fishing village of Pointe Michel pull on a seine net as fishermen attempt to catch a shoal of tuna feeding close to the shore. Scotts Head, the southern tip of the island, is visible in the background. 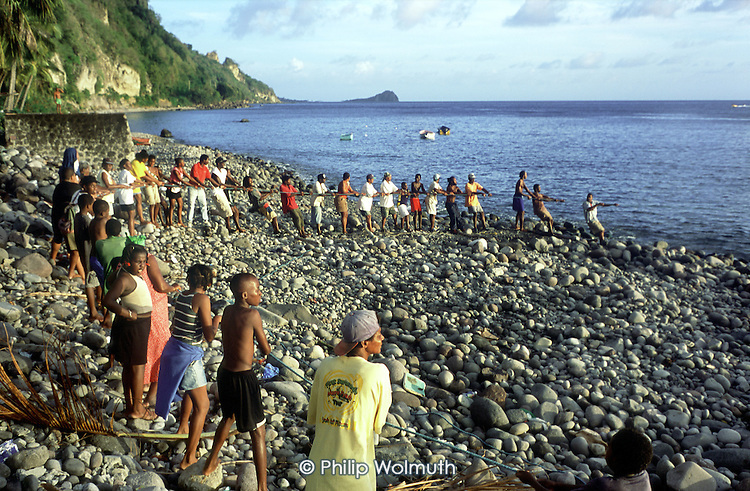 From gallery: Caribbean - Fair Trade?